A 4.4-magnitude earthquake struck Banjarnegara, Central Java, on Wednesday afternoon, killing one and destroying hundreds of buildings, including houses, schools and mosques. At least 20 people were injured and over 500 residents have been evacuated since the earthquake hit. “The casualty has been identified as Asep, 13, a fifth grader [...] Ninety percent of houses were damaged,” Banjarnegara Disaster Mitigation Agency (BPBD) official Aang told the press on Wednesday. 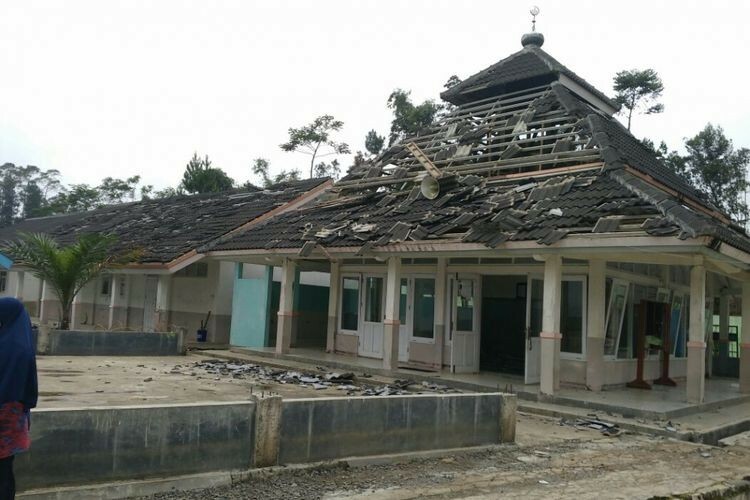 Kertosari village in Kalibening district is reportedly the area that suffered the most damage. According to the Meteorology, Climatology and Geophysics Agency (BMKG), the quake was centered 52 kilometers north of Kebumen at a depth of 4 km.